Aikido (The art of harmony) is a modern martial art founded by Morihei Ueshiba (1883-1969), who developed it from the state of a battle technique to that of a spiritual way. Based upon principles of non-aggression, non-resistance, and non-competitiveness, it is unique in that it allows people to defend themselves against larger and stronger attackers, without requiring great strength or speed, yet it also teaches us to understand and respect our fellow Man. The gentle quality of Aikido makes it appealing to men and women and children regardless of age. It not only offers spiritual development, mental concentration, balance, reflex action and exercise, but also teaches proper etiquette and behaviour. 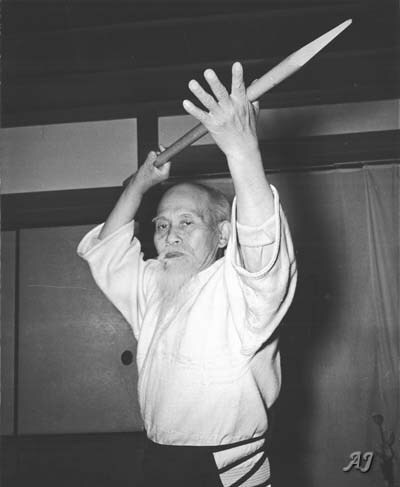 Master Morihei Ueshiba, after experiencing a number of spiritual revelations, became disenchanted with the way traditional Martial Arts were practiced, and decided to radically change the moral concepts of self-defence by introducing his new art to the world. 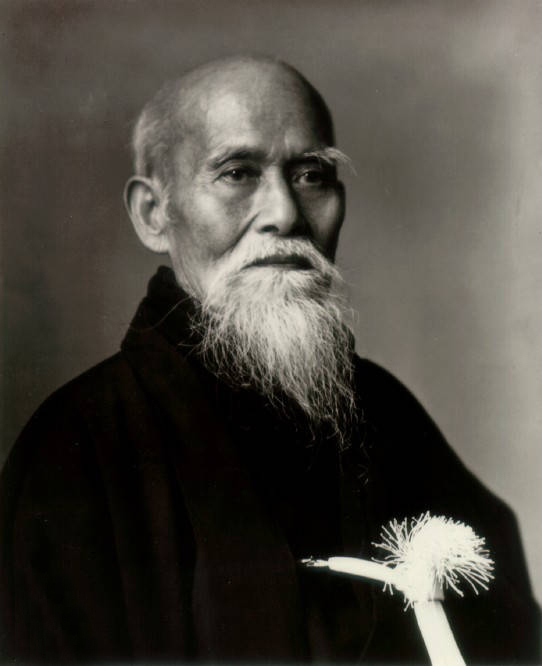 Master Ueshiba, or O-Sensei as he is respectfully known, retired from high profile life in his mid-fifties and moved to the country to begin developing and teaching Aikido to favoured students. 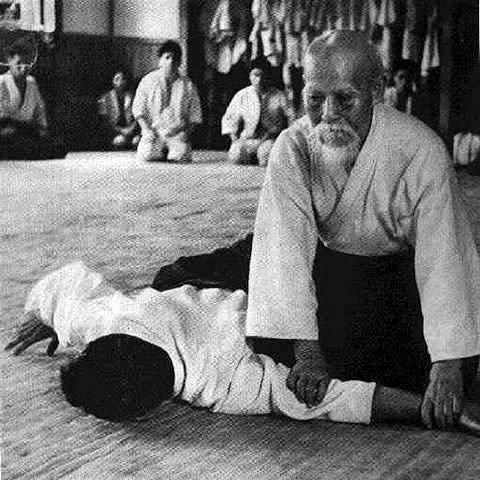 By 1969, when he passed away, Aikido had attracted a huge number of followers, and also converted a large number of students from other Martial Arts, and had become established as a highly evolved, effective and beautiful art. 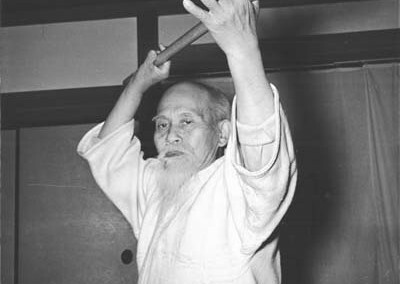 Morihei Ueshiba, described Aikido as being the “path to enlightenment through the study of martial arts”. It is a traditional Japanese Martial Art that teaches self defence while also giving its practitioners a development of the body, mind and spirit that ultimately benefits their health, their way of thinking, and allows them to be more efficient and effective in their day to day activities. 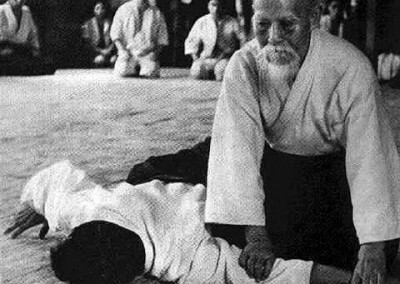 “Aikido is not a technique to beat down the enemy. It is a way to harmonise the world and to make the whole mankind as a family. That is, its final goal is to harmonise one’s movements to those of the Universe and finally to unify oneself to the Universe. The practitioners must become aware of this goal through everyday training”. 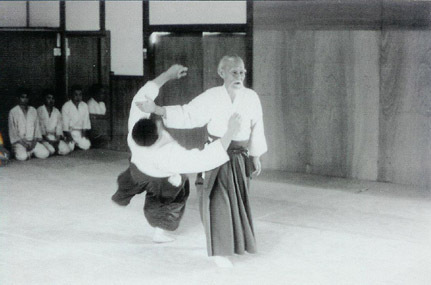 The Founder Morihei Ueshiba always explained Aikido as the way of harmony and unification. Aikido movement maintains this firm and stable centre with an emphasis on spherical rotation characterised by flowing, circular motions. These pivoting, entering and circling motions are used to control and overcome the opponent. The principle of spherical rotation makes it possible to defend one self from an opponent of superior size, strength, and experience. 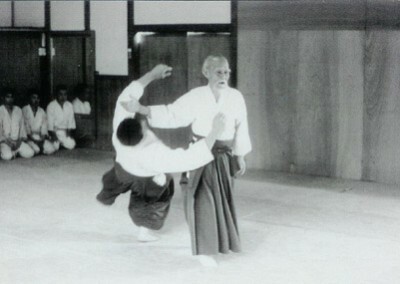 Although Aikido movements are soft, rational and flowing as in nature, with the addition of appropriate power the techniques can range from gentle to devastatingly effective. Technically, Aikido is a relatively modern derivative of a number of ancient and traditional Japanese fighting techniques including Daito Ryu jujitsu, kenjutsu (sword fighting), jo (staff), yari (spear) and naginata (halberd). Aikido is many things to many people. At the heart of Aikido is the Eastern concept of Ki –the universal creative principle. With the Ki (life force or breath) found within each person. Literally, Aikido translates as “the way of harmony with Ki”.